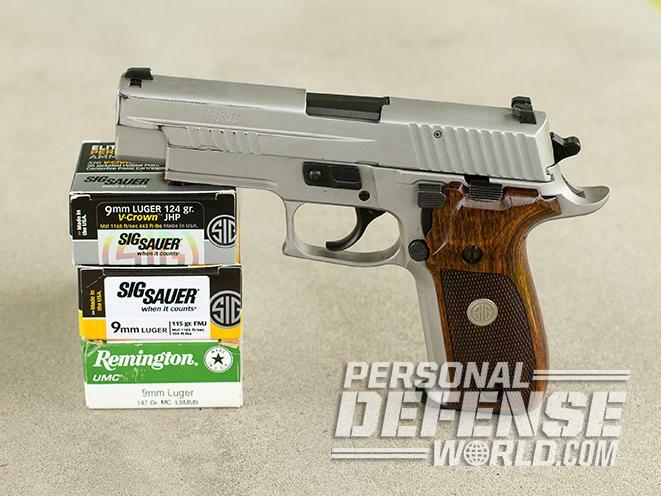 Currently a TALO exclusive, the Sig Sauer P226 ASE has a number of innovative features, yet the most important is probably the aluminum frame, which looks like stainless steel but helps reduce weight. 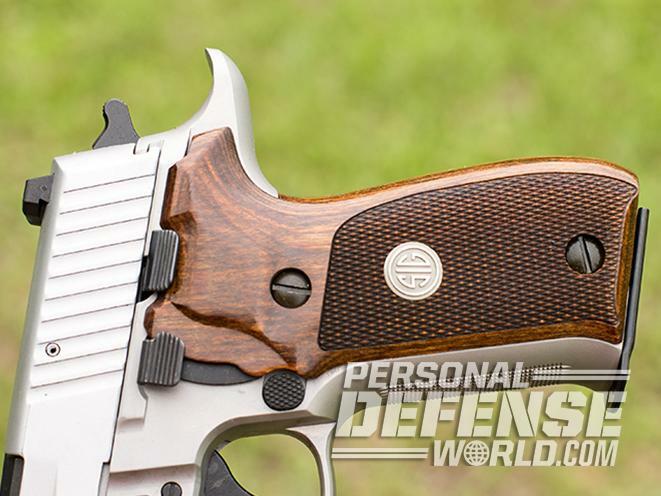 The P226 ASE sports fancy wooden grip panels with checkered sections and inset Sig medallions. The frontstrap is also checkered. The pistol’s black controls, including the Short Reset Trigger, contrast nicely with the stainless slide and frame. For fast targeting in any lighting condition, Sig equips the P226 ASE with SIGLITE tritium night sights. 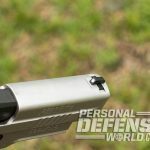 The test pistol came with two American-made, 15-round magazines that ran flawlessly during the evaluation. The Elite-style frame features a sturdy Picatinny rail for mounting lights, lasers and combo units like the Streamlight TLR-2. 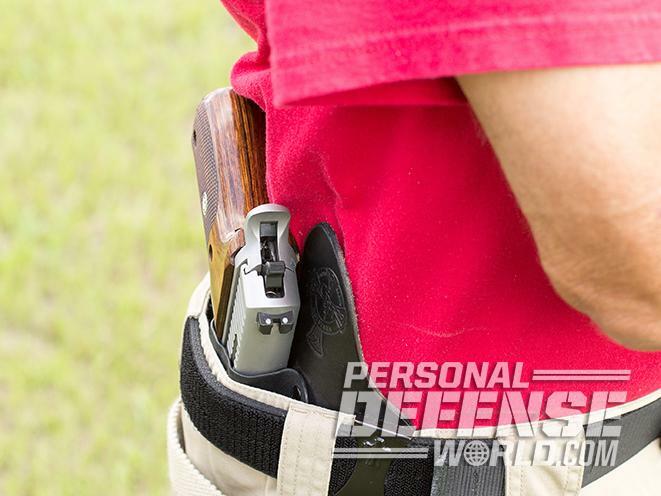 The author carried the big Sig comfortably and discreetly in a Crossbreed IWB rig with a Kydex holster shell and a leather backer. 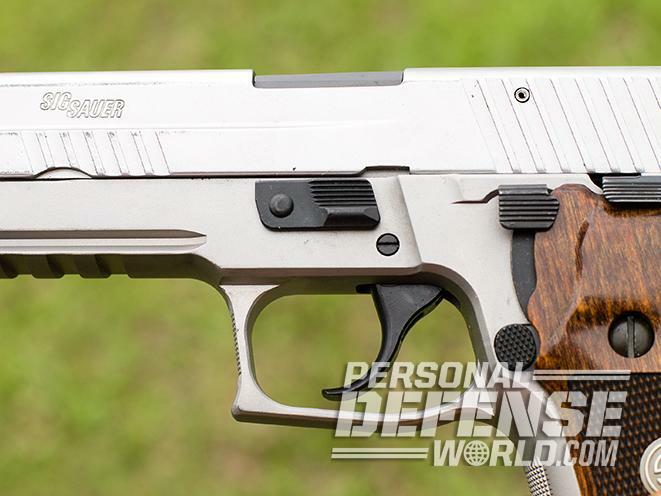 To test its reliability, the author ran the P226 ASE with three different loads, and it performed flawlessly with each of them. 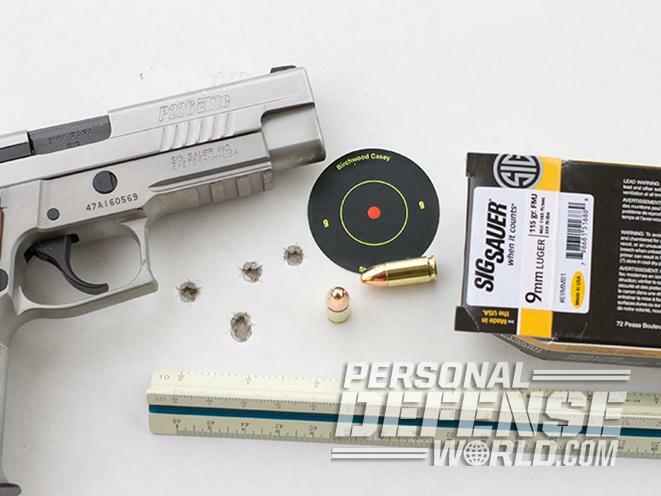 Here you can see the best five-shot groups created with the Sig 115-grain FMJs. 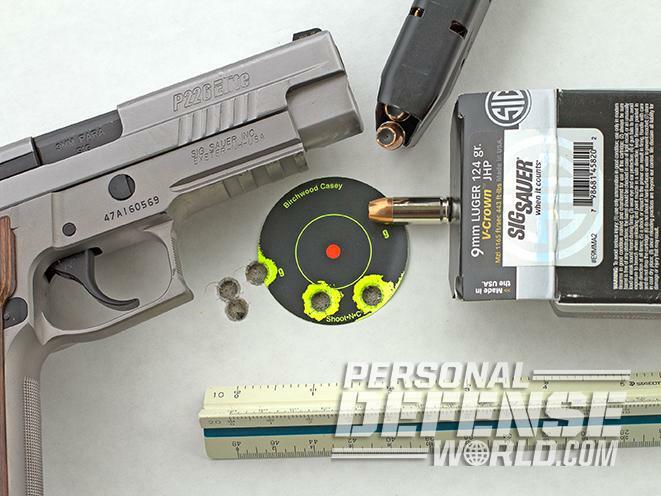 The best five-shot groups created with the Sig 124-grain V-Crown JHPs. 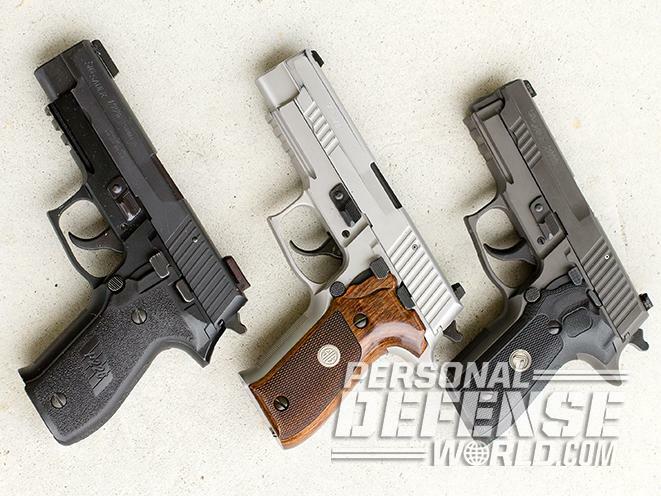 Sig Sauer offers a number of P226s, and the author ranks the Nitron (left), ASE (middle) and Legion (right) as the “good, better and best” of the bunch. 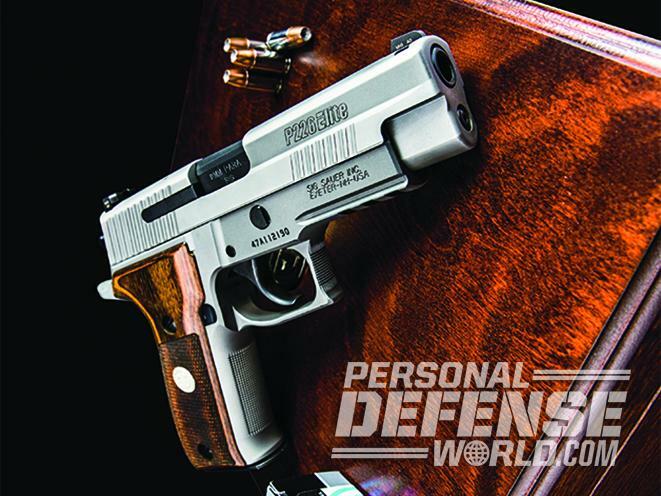 Picture the iconic, double-stack Sig Sauer P226 9mm pistol of 1983, developed for U.S military trials of the period—where the P226 essentially tied the Beretta 92 in testing but lost the bid—updated with a Picatinny dust-cover rail, tritium night sights, a checkered frontstrap, an extended beavertail grip tang, fancy wooden grip panels, Sig Sauer’s Short Reset Trigger (SRT) and a stainless steel finish. Voila: You’ve got the P226 Elite Stainless, one of Sig’s premium double-action/single-action (DA/SA) pistols today. While this gun is quite breathtaking, I got my hands on an even better variant that is currently only a TALO distributor exclusive—the P226 Alloy Stainless Elite, or ASE. 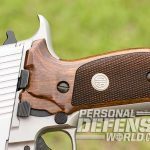 While the two guns look very similar, the Stainless Elite variant weighs 42.2 ounces unloaded due to its all-stainless-steel construction, and the ASE weighs only 34 ounces. 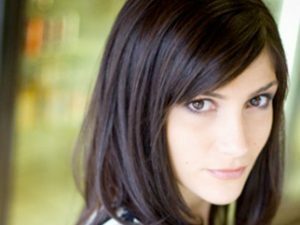 How does it achieve this? The slide is stainless steel, but the frame is made of aluminum with a stainless PVD finish. Another noteworthy difference: The ASE’s grip panels are a tad fancier with Sig medallions inset into each side. The result is an attractive P226 that can stand up well to the elements while being easier to carry. Out of the box, the SA trigger pull on my test P226 ASE weighed 5.41 pounds on average according to my Lyman digital trigger pull gauge from Brownells. The DA pull was rather heavy—over the 12-pound top end of the Lyman device—and, by educated guess, more like 14 pounds. But, both trigger pulls were very smooth, and the SRT lived up to its name with a short reset in SA mode. The test gun digested hundreds of rounds of factory ammo—round-nose and truncated cone FMJs, wide-mouth hollow points—and never missed a beat. 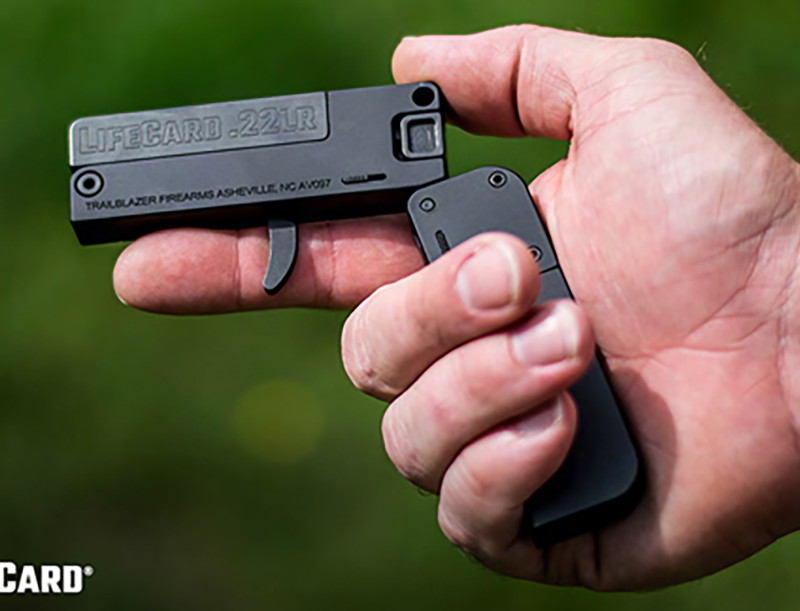 It was 100-percent reliable, but this isn’t much of a surprise, as the P226 is one of the most thoroughly vetted 9mms out there, right alongside Glocks and Beretta in terms of exemplary feeding and cycling reliability. 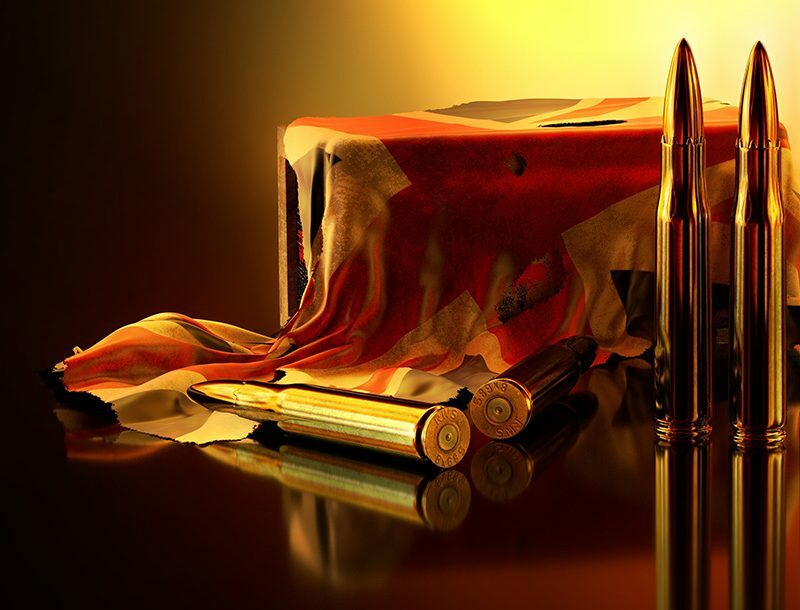 The gun worked with the American-made 15-round magazines it came with as well as older MEC-GARs and extended 20-round magazines, including the old style popularized by the British SAS and the current iteration. 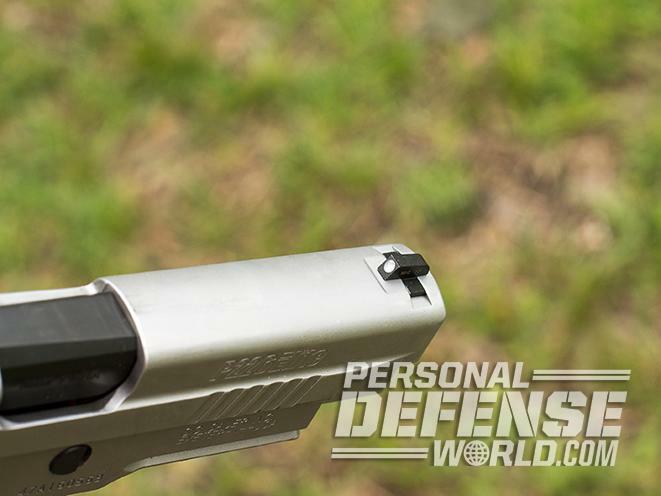 To test the P226 ASE’s accuracy, I fired five-shot groups at 25 yards using a two-handed hold and a Caldwell Matrix rest placed on a concrete bench. 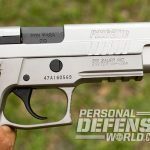 Of course, with this being a Sig Sauer pistol, it only seemed fitting to test it with Sig ammunition: 115-grain FMJs and 124-grain V-Crown JHPs. For a third test load, I chose 147-grain Remington FMJs. The best five-shot group with the 115-grain Sig FMJs measured 1.7 inches, with the best three rounds grouping into 0.9 inches. 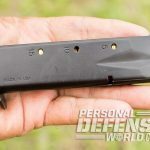 The 124-grain V-Crown JHPs came in second place with a five-shot group measuring 1.9 inches, but three of those rounds created the tightest cluster of the day at 0.55 inches. 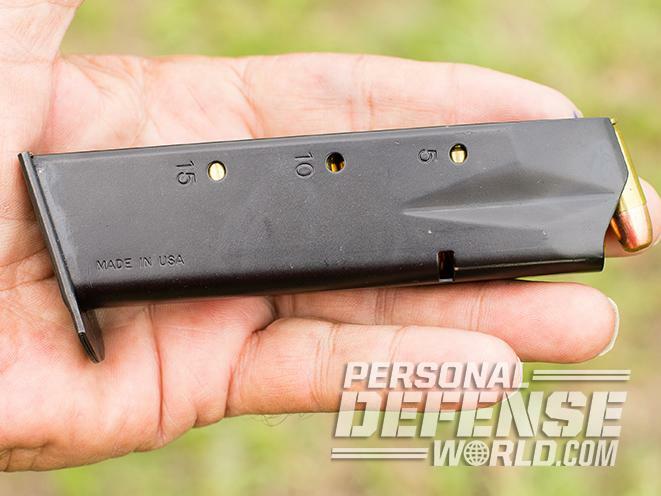 The 147-grain FMJs created a 2.2-inch five-shot group, with the best three clustering into 0.65 inches. 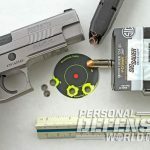 As for shooting to the point of aim, the 115-grain FMJs were close for elevation, but the five-shot group was about 2 inches left at 25 yards, with none quite hitting the 2-inch aiming dot of the Birchwood Casey Shoot-N-C target. The 124 grain V-Crown JHPs were good for elevation too, and closer to center, with three of the five shots hitting the 2-inch bullseye and the others a tad to the left of that. As is typical for a 9mm, the slower 147-grain rounds centered about 2.5 inches higher than the point of aim, and in this case some 1.5 inches left. The windage issue would be easy to correct with a sight-adjustment tool. 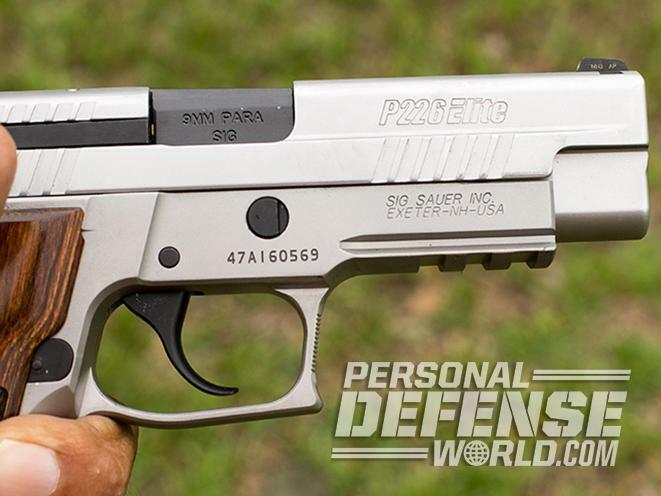 For perspective, acceptable service pistol accuracy for a gun like this is generally considered to be keeping five shots in 4 inches at 25 yards. All of these five-shot groups were below that, and the average of all three was 1.93 inches—twice as good as that standard. All of the three-shot groups were distinctly under an inch, with an average of 0.7 inches. That’s target pistol accuracy in many sport shooting competitions. 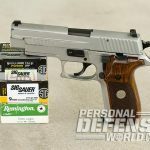 All in all, the ASE lived up to the reputation for accuracy that the Sig P226 has built since its introduction in 1983. The test gun was also light on recoil. 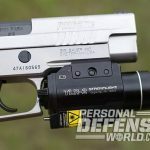 The three-dot SIGLITE night sights came back on target quickly so long as I fired from a solid stance with a firm hold. In dim light, the night sights were pretty easy to pick up. The big wooden grips increased the girth of the frame, reducing my trigger reach. I found that slowed me down a little on the first DA shot, but not significantly. The SRT may have made up for that in subsequent SA shots. For an action shooting test, I went to my range’s Action Target falling plate rack. These are also known as Bianchi plates because this array of six steel, 8-inch-diameter disks was created by one of my mentors, the late world champion Ray Chapman, for the Bianchi Cup event that began in 1979. 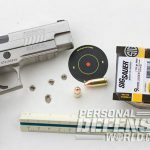 Starting with your hands shoulder high, you draw on the signal and have six seconds to shoot all of the plates down from 10 yards, seven seconds from 15 yards, eight seconds from 20 yards and nine seconds from 25 yards. Each distance is done twice for a total of 48 shots. You get 10 points if you knock the plate down and zero if you miss, for a total of 480 possible points. You only get one shot per plate at the Bianchi Cup. Using these rules and a PACT timer, I scored a 470 out of 480 with the P226 ASE loaded with Sig 115-grain FMJs. I would have been delighted to get this kind of score every one of the 11 years I actually competed in the Bianchi Cup. The one plate I missed was at the relatively easy distance of 15 yards; I simply blew the shot due to rushing. Suffice it to say that I was happy with the P226 ASE’s shooting characteristics. I spent a long day of driving, shopping and doing other mundane tasks with the test P226 ASE just behind my right hip in a Crossbreed hybrid holster. The Kydex outer shell surrounding the gun made for quick draws and easy reholstering—I used the same rig for the Bianchi plate rack—but the wide, relatively soft leather backing conformed well to my body and made it comfortable the gun inside the waistband of my 5.11 Tactical cargo pants. The rounded edges of the grips didn’t dig into my body while carrying the P226 ASE inside my waistband. Overall, it’d make a great everyday-carry (EDC) gun. Back in the 1980s, I learned that the rear edges on the floorplates of spare P226 magazines can be a little sharp for concealed carry. Happily, I was able to supplement the two 15-round magazines that came with the gun with a more contemporary 20-round magazine. Its rounded floorplate allowed me to carry a single spare magazine with more than twice as much ammo as two single-stack 1911 magazines. The result? The fully loaded pistol and 20-round spare mag gave me 36 rounds on my person. 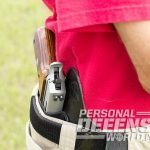 That’s exactly twice as much as the standard loadout when I got into law enforcement in the 1970s, when our department issued six-shot .38 Special revolvers and pouches that held 12 spare cartridges. In shooting, I became aware of another sharp edge: The toe of the trigger is downright pointy. It didn’t draw blood or anything, but it made me particularly careful to center my index finger above that spot. The SRT itself will be especially appreciated by the many shooters who “ride the link” when shooting. 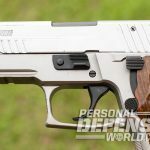 Sig Sauer pistols are rather like BMWs—pricy but worth it to those who want a little brand prestige to go with the functionality the P226 brings to the table. 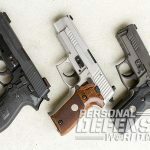 If you looked at the Sig catalog and, of the many P226 variants, picked three for “good, better and best” positioning, you’d probably start with the P226 Nitron, today’s analog to the original P226. 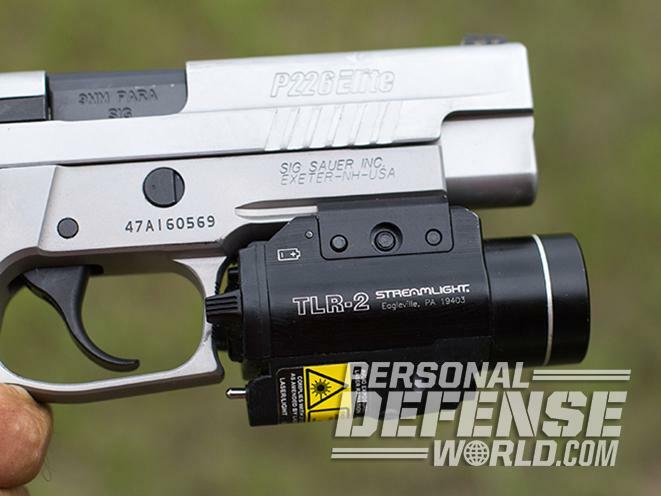 The “better” would be the ASE thanks to its upgraded features, and the Sig P226 Legion would be the “best” in my view because of its excellent X-Ray sights and Bruce Gray trigger system. 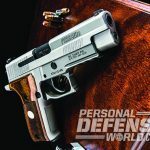 The choice is yours, and I applaud Sig Sauer for giving us this broad array of choices.